I’m happy to announce that we are undertaking a thorough, public “20% time” trial at Atlassian. If you’ve ever wondered how Google’s famed 20% time works in reality, we’ll be your guinea pigs and blogging the results for everyone to see. 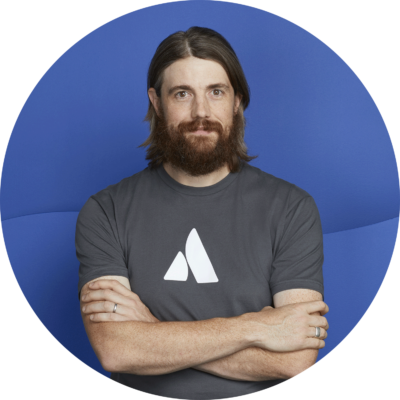 Atlassian has a proud tradition of innovation. We’ve always strived have market leading products, our internal ShipIt days keep improving, we’ve won awards for entrepreneurial innovation and we try to never stop pushing the boundaries in our business. So why are we unhappy? In any startup company, innovation slows as the company grows. Our growing customer base (we just welcomed Customer 10,000) is forcing us to rethink how we innovate in our products, whilst maintaining stability for customers. Wait… so you’re just… copying Google? Well no – we’d love to (we hate re-inventing the wheel!) but it’s a little harder than that. We’d love to start from Google’s model and evolve it but that has proven difficult. When can an engineer take his or her time? How do technical leads manage their schedules? How does the engineering manager account for the time? Do they track it at all? Answering these questions and more is what we’re aiming to do in Atlassian’s 20% time experiment. Our initial rules are just guesstimates and will most likely change before the 6 months is up! … so how much does all this cost Atlassian? We are spending $USD 1,000,000. Take a deep breath, and re-read that. You read it correctly. 20% of time for over 70 engineers, for 6 months, including on costs. A little chunk of change for an experiment! Simply put, we are heavily gambling on our engineers. Gambling? Maybe. I really do believe that the odds are stacked in our favour. Time (and from that customers – who vote with their hearts and wallets) will tell if it is money well spent. As the trial progresses, we’ll be looking at the impact on all the stakeholders internally – but here is our initial thinking in some key areas. A startup engineer must be all things – he (or she) is a full time software developer and a part-time product manager / customer support guru / internal systems maven. As a company grows, an engineer spends more time doing the software development – but paradoxically he spends less time building the things he personally wants in the product. Our hope is that 20% time gives engineers back dedicated slack time – of their own direction – to spend on product innovation, features, plugins, fixes or additions that they think are the most important. We have an _absolutely awesome_ engineering staff. I can’t wait to see what they come up with. The long term thinking is that some of the 20% results will filter into the products and outweigh the short term release slow down in terms of customer benefits. What does it mean for other software companies? Our broadest goal is that all software companies can learn about how the mythical “20% time” actually works in encouraging innovation in a software company. We’ll be blogging regularly here about how things are working. We hope that other technical teams can learn from our investment, experimentation and results. Our initial thinking is that to evaluate whether we feel we’ve delivered more customer value given the time investment than we would normally. This customer value could be in terms of new features, improvements to existing features or better internal systems (resulting in say better support answers or quicker ordering). Simple – keep reading! We’ll be covering the 20% time experiment from all angles – engineers, team leads, directors and founders/CEOs will all be pitching in with their candid thoughts. Some of them won’t be happy, some of them will be loving it. Charles (the man who has dedicated his 20% time to running and documenting 20% time internally!) will be following up shortly with a post covering the initial rules we’ve come up with. From there – as they say – it’s off to the races! Let’s see what we can learn. Update: Charles has put up his initial post on the evolution of the idea as well as the initial rules.